Since most of you have little children, food safety is very important. Food handling safety risks at home are more common than you think. With the recent egg scare I realized how important it really is. Here are a couple little reminders that can sometimes be easy to forget and keep your family safe from getting sick. There are also some good training posters and weekly activities you can do here. Clean: Bacteria can spread throughout the kitchen and get on hands, cutting boards, knives and counter tops. Frequent cleaning can keep that from happening. Remember to wash your hands with warm water and soap for 20 seconds before and after handling food. Control: Cross-contamination (something I am way too familiar with Andrew's allergies) is how bacteria spreads. Keep raw meat, poultry and seafood and their juices away from ready-to-eat foods. Use one cutting board for fresh produce and a separate one for raw meat, poultry and seafood. Cook: Even for experienced cooks, the improper heating and preparation of food means bacteria can survive. Use a food thermometer to measure the internal temperature of cooked foods. Chill: Bacteria spreads fastest at temperatures between 40-140F, so chilling food properly is one of the most effective ways to reduce the risk of food borne illness. Chill leftovers and takeout food within 2 hours. On Tuesday we had an amazing opportunity to be invited to attend the Peter Pan show at The Orange County Performing Arts Center. We were invited by The Mom Blog from The Orange County Register to participate in a live tweet-up of the show. Along with six other Orange County bloggers we tweeted throughout the show about all the wonderful highlights. You can see a live stream of the tweets by searching #peterpanoc on twitter. 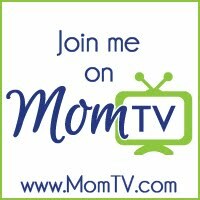 After the show The Mom Blog posted some great tips if you plan to attend the show with your children. A lot of this information can be very helpful! You can read all the tips here. One thing that I felt was really important to tell your children before attending the show, is not to expect this to be like the Disney movie. It is a little different and Ella noticed right away. These are the tents that they built just for the show. Before the show, there was this man hanging on the side of this building playing his trumpet. When we got home we looked online and found out that it was a preview of a future FREE show that you can see at The Performing Arts Center. It is called project Bandaloop. It is going on from 9/30-10/2 and looks amazing! So Bring your blankets and beach chairs and enjoy an unforgettable evening under the stars as one of the most unique contemporary dance companies in the world returns to the Center. When we got inside they got a chance to go into the candy store. They were able to fill up a container with any choice of candy. They had so much fun going from bin to bin filling their containers. Once inside we were amazed at how close and intimate the seating was. There was not one bad seat in the whole house. The stage was set in the center and the ceiling was one huge round IMAX screen that just swept us right into the story. Andrew was so excited to wear his new t-shirt to school the next day. It was so big on him it went to his knees. We were so lucky to be given some great goody bags at the event, and we would love to give one away to one of our readers! If you would like to win a free Peter Pan cloth bag and poster, please leave a comment below to be entered to win. Giveaway is open to winner's worldwide. The Performing Arts Center has the most beautiful architecture. After dinner we were all set to walk over to the Performing Arts Center. The kids all seemed to make instant friendships at the restaurant and had a great time walking together. We made our first stop at The Rainforest Cafe for dinner. It was like walking into a magical forest and got the kids so excited about the play. There was an alligator that looked so real and every 1/2 hour the entire restaurant turns into a rainforest. Even Andrew was super excited! He even had me iron his shirt! Ella loves to dress-up and she picked out her favorite dress to wear. She wanted me to put pixie dust in her hair, but she was worried that pixie dust was not pink. Then when we got to the show and saw that Tink was wearing a pink skirt, she whispered to me "Mommy, there is pink pixie dust." We have two of these bikes...so I am sure many of you do too! Units: About 7 Million in the United States and 150,000 in Canada. Manufacturer: Fisher-Price Inc., of East Aurora, N.Y.
Incidents/Injuries: CPSC and Fisher-Price are aware of 10 reports of incidents resulting in injury. Six of the incidents required medical attention after young girls, ages two to three years old, fell against or on the protruding disc-shaped and D-shaped pretend key. Description: This recall involves the Fisher-Price Trikes and Tough Trikes toddler tricycles with model numbers listed in the chart below and that have either a disc-shaped or D-shaped pretend key. The model numbers are located under the seat in the storage compartment. The trikes are intended for children 2 to 5 years of age. The pretend keys are located about 3 inches in front of the seat and protrude at least 5/8 inches above the trike’s body. 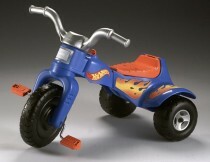 The trikes manufactured after June 16, 2010 are not included in this recall. These trikes have a modified key in a flattened D shape (see picture below) and a manufacturer run number higher than 1670Q2. The run number indicates the trike was manufactured on the 167th day of 2010 or on June 16, 2010. The run number is found under the seat below the model number. Sold at: Mass merchandise stores nationwide from January 1997 through September 2010 for about $25. Remedy: Consumers should immediately place the trikes out of children’s reach and contact Fisher-Price for a free replacement key. The family is super excited to attend this festival that celebrates diversity and represents over 50 cultures. Having had a foster child last summer from Taiwan the kids are eager to have some yummy Taiwanese food. 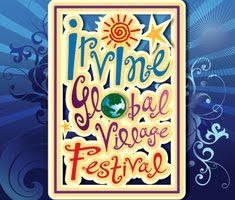 The Irvine Global Village Festival welcomes more than 13,000 guests to celebrate Irvine’s cultural diversity and experience sights, sounds, and tastes of the world. If you attend to can enjoy the mosaic of music and dance on five stages; immerse themselves in cultural and religious displays; indulge in international cuisine; and shop in the world marketplace. This family focused event tantalizes tots with hands-on art projects, games, puppet shows, and activities in a giant, interactive Kids Village. Food Cost: $1.00 food tickets are sold at the event & tasting items range from 1-3 tickets. The event was promoted as the #1 activity to attend in OC by OC Register and was highlighted at the Best Festival for 2009 by OC Weekly. Keep an eye open for us there! 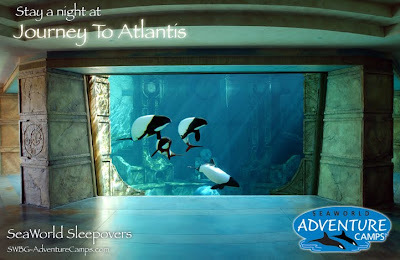 As you all know that we recently spent the weekend doing a sleepover inside the Seaworld park. It was a weekend that Ella and I will never forget. For nearly 50 years, SeaWorld Parks & Entertainment has been rescuing and rehabilitating animals in need. They also work to support conservation efforts around the world. It’s their passion and mission. Now Seaworld has started a new project called Seaworld Cares. Now through December 31, 2010, when U.S. residents purchase a full-price, single-day adult admission, children ages 3-12 receive a ticket to SeaWorld for only $5.00 (That's right $5.00!! ), all of which goes to fund one of four wildlife conservation projects you select. Planning a trip to Seaworld? Purchase your $5.00 child ticket online here! Last night we had such a great time watching The Peter Pan show at The Orange County Performing Arts Center with The Mom Blog. Tyler was just too young to attend, so he got to spend the evening at Grandma's house. Andrew & Ella were so sweet to purchase a giant lollipop for their brother at the show. This morning Tyler was so excited and eagerly began licking away. I just thought that his face was so priceless in this photo! Make sure and visit us along with six other wonderful Orange County bloggers for a live tweet-up of the Peter Pan show at The Orange County Performing Arts Center. We will begin tweeting about the wonderful play starting at 5pm PST tonight. We will be using the hashtag #peterpanoc. We will make sure and share all the wonderful photo's from the event here tomorrow! We took Tyler to his favorite restaurant Ruby's for his "first day of school" lunch. While we were there we noticed that they were running a contest for Kids! Yes...Kids!! It is very rare that you see a contest for kids, let alone one that allows them to be creative...which I love! 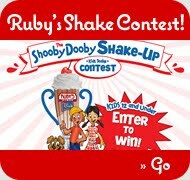 For the contest have your children use their imagination and develop their own milkshake and they even get to name it! If they are picked for the winner they have the opportunity to win either $500 cash, Free kid's meals for a year, or (my kids favorite prize) free milk shakes for a whole year! Andrew & Ella had such a great time creating their favorite recipes and trying them out. (and yes! I tasted all of them...even the flour milk shake, sunflower seed shake and dog food shake!) Let's just say you'll need a lot of tums. Cooking together with a child is one of the best educational activities a parent can do. Aside from spending quality time together and giving a child the opportunity to feel proud of themselves for creating something, it teaches math, science, reading, and comprehension skills – all while they're just having fun. So if you have little ones who like to cook and be creative make sure and stop by Ruby's and get an entry form for them. They are accepting entries until October 31st! For the official rules click here! Direct from the U.S Premiere in San Francisco, Peter Pan is a spectacular new stage production of J.M. Barrie’s classic story performed in a state-of-the-art 1350-seat theatre pavilion. Do your children like Peter Pan? Then you are not going to want to miss this amazing play coming soon to the Orange County Performing Arts Center! The show is about 2 hours and 20 minutes long and is recommended for children over the age of 5 years. The Orange County Performing Arts Center has worked hard to prepare for this great show. They have built the World's first 360-degree CGI theatre for an audience of 1,350 people to be immersed into Neverland. The cast will sweep you off their feet as they soar into the air above you and your children. It will leave you feeling the magic of Peter Pan and the dream of being a kid again. Ella and I will be at the Orange County Performing Arts center on Tuesday getting a chance to see this amazing spectacular show! We will be participating in a live tweet-up of the event. Make sure and look for us on Twitter this Tuesday September 28th to hear all about Peter Pan! Many of us have been to Seaworld before, but did you know that you can have a sleepover inside the park? Yes! You sure can and my daughter and I got the opportunity to give it a try this weekend. Seaworld calls them Adventure Camps, and an adventure is just what you are going to have! Ella and I arrived at Seaworld at 5:30pm on Friday and we were nicely greeted by our own special Seaworld tour guide. They packed all our luggage up and brought us to enjoy a nice pasta dinner inside the closed park! They walked throughout the dark park singing fun songs with the children getting all the children to participate and have a good time. During the tour we would take stops throughout the parks and the guides would talk with the children about the different animals. At this stop they dressed Ella up as a Sea Lion where she got the chance to see what it would feel like if she was a sea lion. I have never seen my little girl giggle so much! Here she is after she put on all the layers of the costume! They then took us to the shark tank exhibit where we got to set-up our sleeping bags. It was so hard to pick the best spot, but we choose the spot right in front of the tiger sharks! It was such an amazing night getting to cuddle with my little girl while we fell asleep to swimming sharks. When we woke up in the morning they greeted all the girls with a cute stuffed plush shamu doll. It was such a sweet treat and she was so surprised. The doll has not left her arms since she got it! We then enjoyed a yummy breakfast. We have been to many amusement parks, but Seaworld by far has the best food! Where we got a chance to feed them! They were so hungry and all fighting over the food! During the tour three of the girls all had the same shoes. It was fun watching their toes light up in multiple colors as they walked. I guess these are the popular shoes to have right now. Once the park opened, Ella and I got a chance to have a dolphin encounter. This was an experience that Ella and I will never forget. We have never gotten to touch a dolphin, and it was so amazing. They are such sweet and cute animals. After we were done with the dolphin interaction we were free to enjoy the rest of the day in the park. We stayed the whole day totaling our time in the Seaworld park at 26 hours straight! If you would like more information about the Seaworld Adventure make sure and visit www.seaworld.com It will be an adventure that you will never forget!! Today is the last day in our Free Five Little Bee's Felt Story Promotion! The sale ends at 11:59pm PST on Sunday September 26, 2010. You will get a free Five Little Bee's Felt Story with any purchase of $10 or more. Today was an interesting day. While sitting in the post office waiting to ship all my orders, I found myself talking with a nice older man. He was talking to me all about movies and how they were made, just to find out that he had been featured in over 150 movies himself! He was Robert Alan Brown, most famous for his roles in the soap opera Santa Barbara & Pscho II and III. 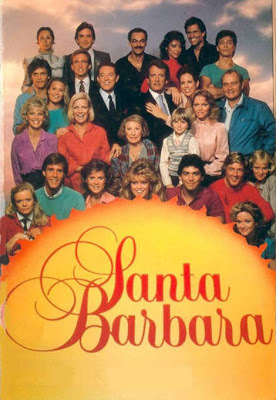 I remember as a child my mom watching the soap opera Santa Barbara as a child and it brought back many great memories. We continued to talk for almost an hour about his fascinating past. It is so neat to find and meet new people and find out about their past & history. Next time you are sitting in the post office, make sure and strike up a conversation with the person sitting next to you...you never know who you are going to meet! 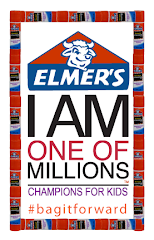 September is ending Childhood hunger Month! The Cheesecake Factory has made it easy for all of us to help do our part! They are taking pledges on their website, and currently they are at 3,987 pledges. These are some of the great ways you can make your pledge on their website and they will send you a special 'Thank You' message from the American Idols. 1. Pledge Money » Your contribution makes a difference; Just $1 helps provide 7 meals to those in need. 2. Pledge Food » Feeding America feeds more than 37 million people, yet 49 million people are at risk of hunger. Help us close the gap. 3. Pledge Time » Find your local Feeding America food bank and learn how you can help. 4. Write Congress » Taking a stand can mean sharing your voice, raising awareness, and rallying for change. 5. Tell A Friend » Getting other people involved can really make a difference. Share Your Voice to spread the word. Thank you Cheesecake Factory for setting up this great website for everyone to help stop Childhood hunger! Look at this super cute video just filmed of Katy Perry with Elmo! This is for all our Elmo Fans! Since most of you are mommies to little one's this is an important read! The voluntary action affects up to 5 million Similac-brand powder formulas sold in the U.S., Puerto Rico, Guam and some Caribbean countries. The company said the products may contain a small beetle or larvae, which could cause stomach ache and digestion problems. The recalled products were sold in plastic containers and various can sizes, including 8-ounce (227-gram), 12.4-ounce (352-gram) and 12.9-ounce (366-gram). To find out if your can of Similac is part of the recall you can check the lot number on the can on the Similac website, http://Similac.com/Recall, I just tried the site to see if I can find more information and the page is not loading. I have a feeling its due to high traffic. If the page doesn’t load you can try refreshing your screen or trying again later. Few! What a fun summer! We hope that everyone had a wonderful break! Well~ as you know we like to take a nice summer break from our blogging...but school is back & so are we! 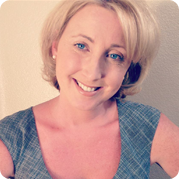 Make sure and visit our teaching blog http://www.glitterfulpreschoolfun.com/ for more new fun activities this year..and our usual fun family/work blogging here! !